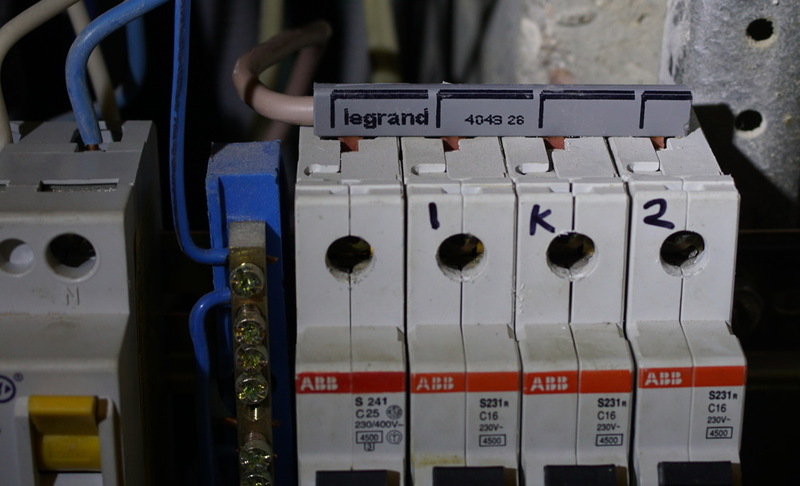 Before: DIN circuit breakers were connected in soviet-electrician-style "it did the best with the stuff I had", consecutive using usual wire. Effectively all current goes through point contacts on first module. These places are the main reliability and safety concern - it could easily overheat and cause a fire. 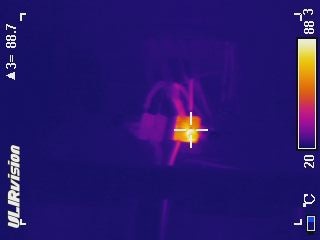 For example on the right see similar setup under 4.25kW power consumption (20А) via thermal imaging camera. After: Input wire is soldered directly to copper busbar. Also, connections to modules are now flat-flat instead of round-flat, so no more point contacts. Back side of the busbar. Someone had to suggest ABB or Legrand to make such pre-assembled wire-busbars in a nicer way.